Mount Kimbie have always been an intriguing duo, occupying an unusual space as a self-proclaimed "band" in dance music. Kai Campos and Dominic Maker thrive off this lack of classification. In a 2013 interview with Resident Advisor, Campos revealed that during their formative years "we weren't as massively into club culture as a lot of people." They've never accepted the restrictive dimensions of any genre, steaming ahead on a path of discovery into the unknown like a musical Vasco da Gama. It's an outlook that has seen Mount Kimbie become one of the definitive electronic outfits of this decade. The pair emerged through the later ranks of the FWD>> generation, in an era when every single producer was branded with the broad and largely meaningless label "post-dubstep". If Mount Kimbie is a project that was born from the brain of dubstep originators, we'd say they materialised out of a blissful afternoon daydream Skream would have had rather than a dark nightmare from the mind of Loefah. Mount Kimbie shunned the bass-heavy leanings of dubstep on debut album 'Crooks & Lovers', instead pioneering a sound that deconstructed the genre and pumped it full of light, resulting in far warmer and hazier textures like those heard on single 'Carbonated'. An altogether unique approach that only found counterparts in the hordes of derivative producers that soon rushed to jack their style. 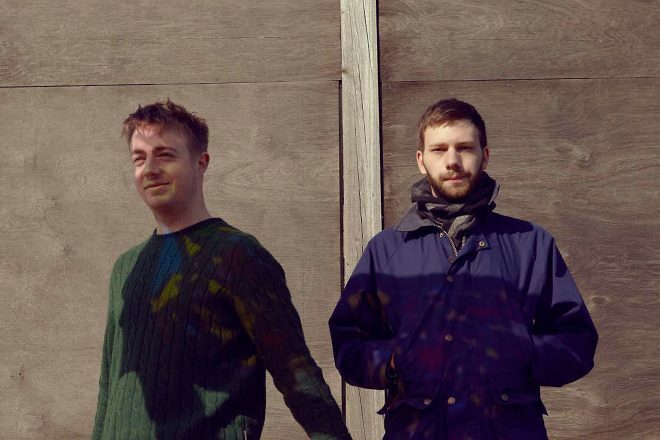 After the expiration of their Hotflush deal, Mount Kimbie signed to Warp for second full-length 'Cold Spring Fault Less Youth', citing the hands-off approach of the legendary label as a major factor in this decision. Left to their own devices, they entirely changed their production technique, shifting from ramshackle bedroom jams to streamlined, full-bodied studio tracks. Mount Kimbie's status as a band had never been more apparent: they increased the prominence of guitars in their music, called in a session musician to drum live on tour, dropped the vocoder for organic vocals, and invited indie punk prodigy King Krule to lend his distinctive baritone to two tracks. And yet that's not to say they still couldn't kick it in the clubs. 'Made To Stray' was one of the most ubiquitous anthems of 2013, rinsed by selectors from intimate basement dancefloors to massive open-air festival stages. Mount Kimbie inhabit the best of both worlds. With new material set to land in 2016, we can't wait to see what direction they move in next. For now, treat yourself to this truly eclectic In Session mix from the twosome. Mount Kimbie carry over their exploratory production style into their DJing, blending seamlessly between all manner of genres and BPMs. Recorded live from a set in The Clearing at Dimensions festival this summer, it features the dreamy house sounds of Jack J, hard-hitting grime from Newham Generals and a number of their own cuts. Strap in for the journey below.